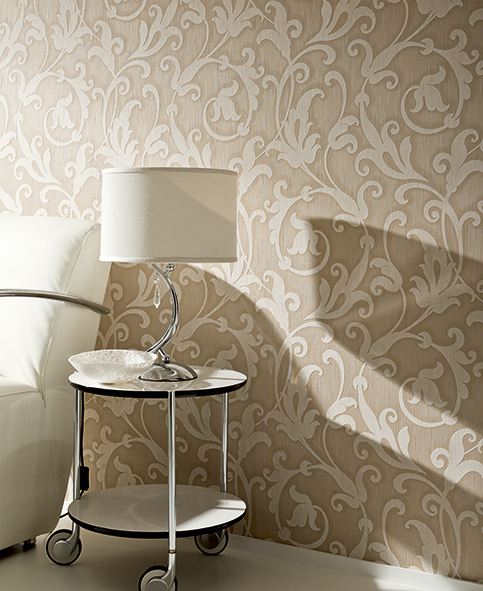 Precious wall embellishment on exquisite yarns and fabrics harks back to the roots of humanity. Even in the Middle Ages, wall hangings made from fine fabrics were a symbol of feudal self-expression and we have always been attracted to wall coverings made from select materials with exquisite designs and finely tuned colour combinations. 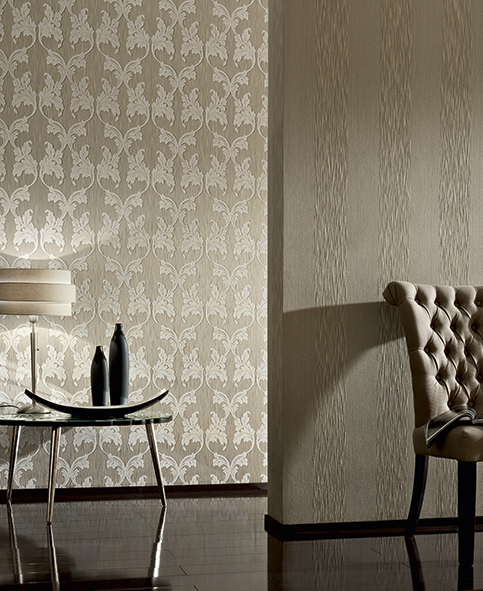 All of these attributes are combined in the textile wallpaper collection "Tessuto" from the pen of the contract and premium brand Architects Paper, a brand of A.S. Création Tapeten AG, to form a harmonious symbiosis. Contemporary interpreted classical ornamentation and floral designs in warm-toned Flamant colours - vanilla, cappuccino, mocha, macadamia and golden yellow through to green and violet - adorn these exclusive wall hangings. Refined by a raised structure with shimmering matte-gloss effects, the feel and look of exquisite luxury is imparted to the precious fabric with an open fancy yarn and select warp threads. 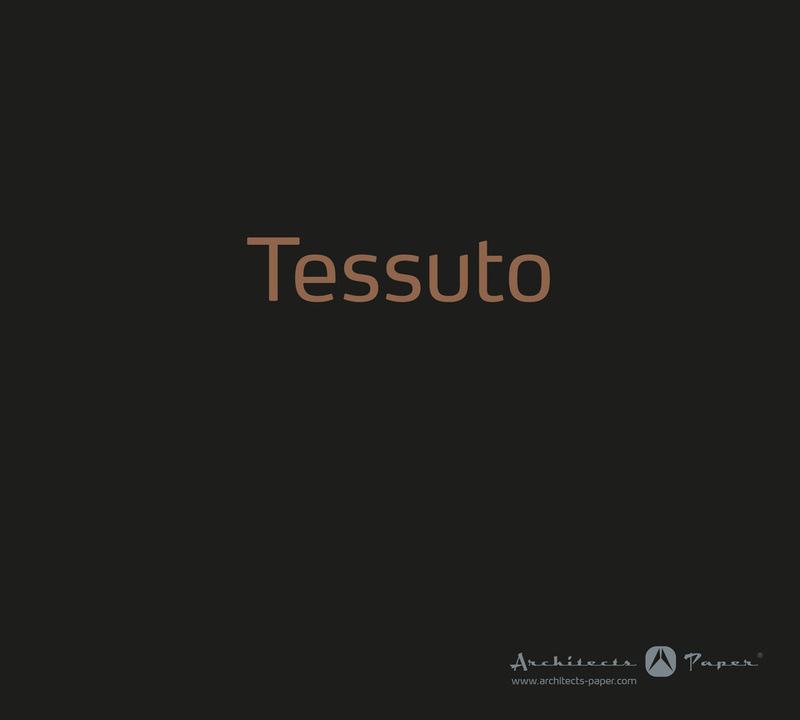 Whether exclusive hotels or private residences – "Tessuto" conveys wealth and through elegant fabric fills your rooms with dramatic comfort.